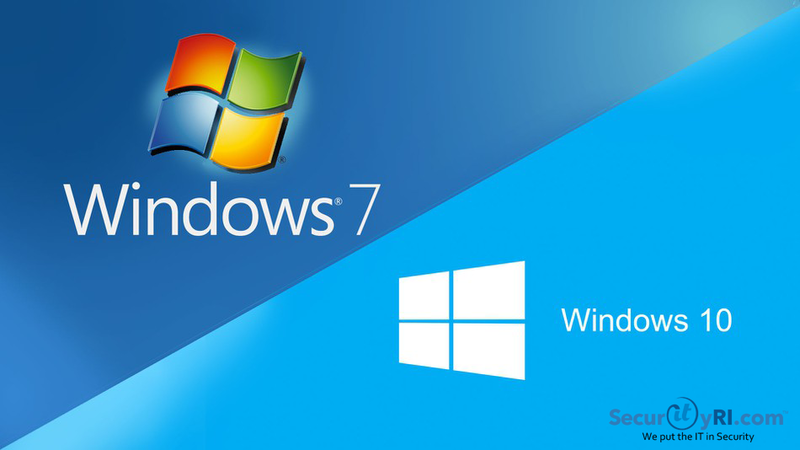 Are you still using Microsoft Windows 7 or have you already made the upgrade? Unfortunately, Microsoft has set the “End-of-Life” date for Windows 7 on January 2020. “End of Life” for the product means Microsoft will discontinue all support, including paid support and all updates (including security updates). Why is Microsoft Eliminating Windows 7? Similar to the previous Microsoft operating systems, every OS has its life-cycle. The life-cycle begins when a product is released and ends when it’s no longer supported. Understanding the key dates and being informed is very important. Note: Be sure to note any, and all – End-of-Life dates with your software whenever you’re installing something new. It’s now time to consider your upgrade. Many professionals are moving to Windows 10, Microsoft’s latest Operating System (OS). Windows 10 was released in 2015, and it supports apps that can be used across multiple devises – including PCs, tablets and smartphones. It also supports touchscreen, keyboards, and mouse input methods. Windows 10 is faster than Windows 7 and provides many detailed benefits. OR schedule a FREE Network Assessment with our IT Specialist.